Isobar has published a playbook to explain what blockchain is, the technology in practice and how it can be integrated into businesses today, including high growth markets Brazil, India and China. 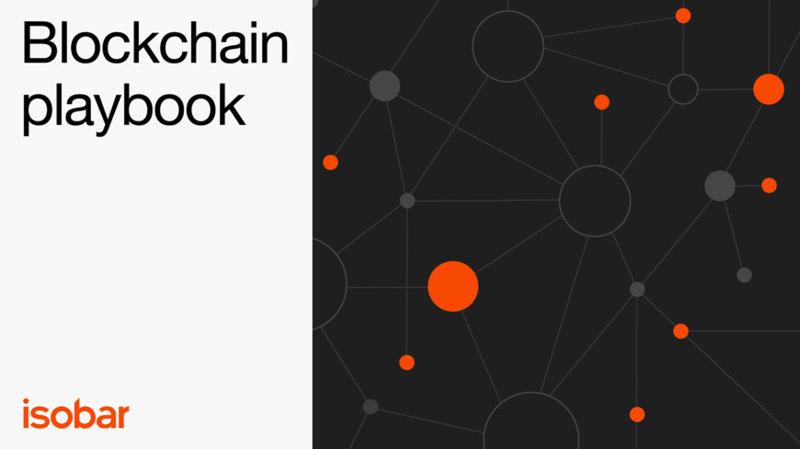 The playbook unpacks blockchain’s potential impact on the global media and marketing industry including supply chains, transparency, brand management and creativity, as well as explaining what marketers should do next. The playbook was authored by Robert Tilt, Director of Nowlab at Isobar Australia, with contributions from Vikalp Tandon, Isobar Global Chief Technology Officer, Shawn Mishra, SVP, Isobar Global Managing Partner, Isobar Commerce Practice, and Simon Gill, Isobar EMEA Chief Experience Officer. - What is holding blockchain back? - What should marketers do next?